Ridgeview Estates is a pristine gated community located in one of the most looked-for areas to live of Nuvali in Sta. Rosa, Laguna. The property offers a wide range of units covering 98-129 square meters. The project comprises of many houses that lie on a 26-hectares piece of land. Avida Ridgeview Estates Nuvali features a contemporary design and has split levels appreciating far reaching views over the extensive greenery in the community and a large shared park with lined up trees crisscrossing at the center of Estates. The developer is a strong advocate of energy efficiency and hence has interwoven green ideas into the project. On top of the large communal park, there is the beautifully interspaced Greenway at the center of the project that is meant for families who live and breathe picnics. It’s also ideal for adrenaline intrepids who want to pump up by jogging or biking for that morning session. To capture those beautiful moments, the gardens are designed and manicured so that the residents can take pictures in the striking environment that the property affords. The urban element seamlessly fuses with the open public spaces to form a gorgeous, scenic attraction. Natural open spaces showcasing some of the most exotic plants will give you a wonderful afternoon or weekend retreat. This coupled by the Lush Greenways brings flora right to your doorway. This makes the property a perfect place to nurture relationships with your kids, family, and friends. The Greenway is the extensive park that cuts across the whole property. Some units face this greenway which gives that perfect view during those boring hours of the day. There are many other amenities that include swimming pools of different sizes, clubhouse, convenient stores, and function rooms. If you occasionally kick into Sportsman mode, you can choose to relieve yourself on the clean play area. In the play area, you will find 3 Fifa standards football fields, 2 baseball fields, and 3 beach volleyball courts. If you have a growing family that likes exclusivity, Avida Ridgeview Estates Nuvali offers you a quick fix. If you are gravitating towards a home as an asset, Avida Ridgeview is definitely the right match. The property is developed by Ayala Land property developer. The firm has been credited in presenting multiple astonishing developable lands in master pre-arranged environments. They continue to ride on their core competencies of large-scale, far sighted urban planning, and infrastructure management. They have continually caused an above-average appreciation of property value over a consistent period of time. They have over 50 years of experience in real estate and have earned a position on the podium as Philippine's leading property developer. With the Avida Ridgeview at hand, they have brought their A-game to build a world class product to satisfy their customers. 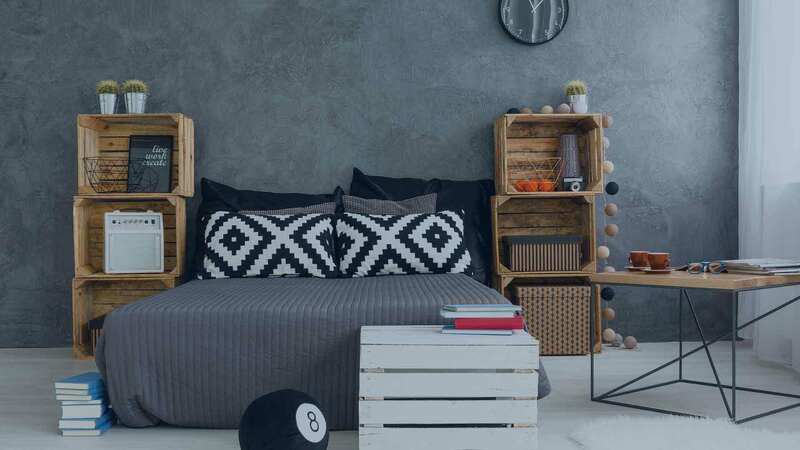 To accommodate aspiring homeowners of all walks of life and their different preferences, the developer has decided to offer a wide range of units capturing different elements. The developer allows modifications at the front, backyard, and the fences as long you don’t distort the modern theme. The basic finish has 1 T/B and a kitchen counter at the G/F and is livable minus partitions. The standard finish features 2T/B compounded by a kitchen counter at that G/F. it also comes with an added bonus of room partitions. Modification on the house and the fences are allowed as long as it does not erase the modern feel of the house. Additionally, the Basic finish comes with no partition and has a single T/B and a kitchen counter at the G/F. Standard finish at the Daphne model is partitioned and has a G/F that features a kitchen counter. For large families looking to host guests for dinner or sleep overs, this is the ideal house. It has many and large bedrooms. Planned and developed by Avida Land, Ridgeview Estates is a 26-hectare green village located within the premier community of Nuvali in Sta. Rosa, Laguna. Offering five modern house designs ranging from 98 to 129 square meters (Chloe, Daphne, Holly, Iris, and Jasmine), Ridgeview Estates provides you with a wholesome and complete community as well as all the modern conveniences that you will ever need. At Avida Ridgeview Estates Nuvali, we believe that greens should be an important part of your everyday life. That is why Ridgeview Estates comes with a large common park that is beautifully landscaped with line up trees, surrounded by nature with mini parks, wide open spaces, and a lush sprawling Greenway in the middle of the estate that is a perfect spot for picnics and gathering with your family and friends, an ideal area for biking and jogging, and a great place for kids to play in and have fun. Other amenities include a multi-use clubhouse with differently sized swimming pools, basketball court, function rooms, play area, and a convenient store which brings all daily essentials closer to you. Avida Ridgeview Estates Nuvali is about 30 minutes away from Alabang and less than one hour from Makati. It is accessible through the Sta. Rosa Exit of the South Luzon Expressway (SLEX). From Metro Manila, it is accessible through Sta. Rosa-Tagaytay Road, Malitlit Exit, and Silangan Exit. In addition, residents of Ridgeview Estates are also given special access via the Mamplasan Exit. Public transport, i.e. a transport terminal with shuttle services, is also available so commuting is never a problem at all. Right outside the village, you can also enjoy wakeboarding at the Republic Wake Park which Nuvali is well-known for. Other than that, Ridgeview Estates is also within walking distance to Nuvali campus of Mirian College. It is close to schools (Xavier School Nuvali & San Sebastian College), hospitals, shopping malls (such as Imall and Santana Rowe Commercial Complex), Canlubang Golf & Country Club, business districts, industrial parks, offices, commercial establishments, restaurants, and a planned commercial center that would soon rise in the area. Avida Land Avida Ridgeview Estates Nuvali in Calamba, Laguna, Philippines is a premier House & Lot project available for sale. If you're looking to rent or purchase Avida Ridgeview Estates Nuvali, then check here first. We have full details of Avida Ridgeview Estates Nuvali updated regularly as well as everything you need to know about the availing and booking process, broken down into stages that includes selecting a unit, choosing a payment plan and buying your dream home at the right price. For price list, free site tripping or showroom visit, personalized service, model house, unit plans, floor plans, payment terms, CHAT LIVE with an agent 24x7. We are Remax Perfect Homes. Always only buy from PRC licensed Real Estate Brokers and Agents.